Remove the oil cooler coolant inlet hose clamp (2). Remove the oil cooler coolant inlet hose (1). Remove the oil cooler coolant inlet pipe (3) and the seal ring (6). Remove the oil cooler coolant outlet hose clamp (4). Remove the oil cooler coolant outlet hose (5). 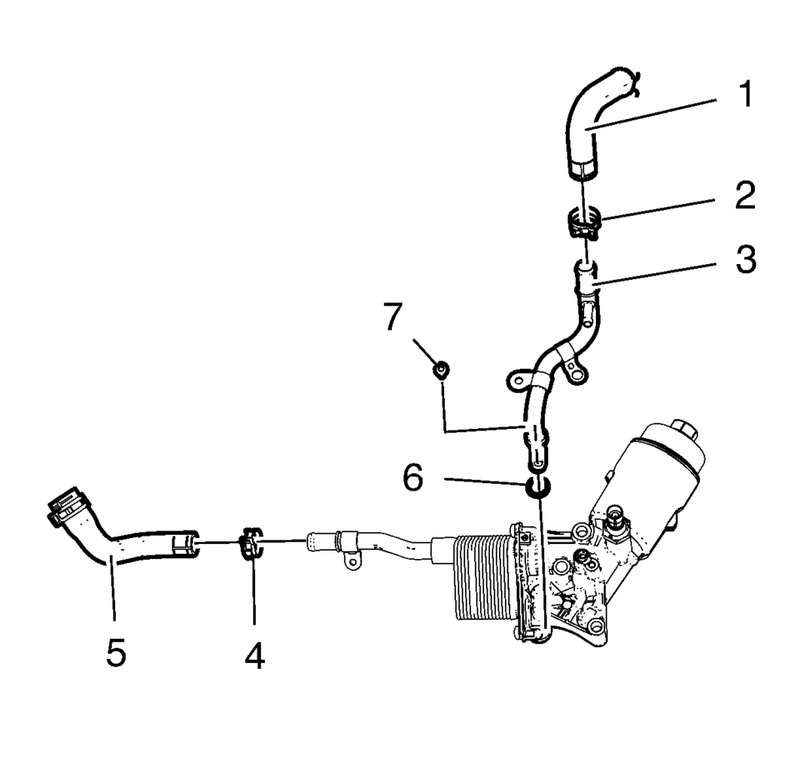 Remove the engine oil pressure indicator switch (5) and the seal ring (4). 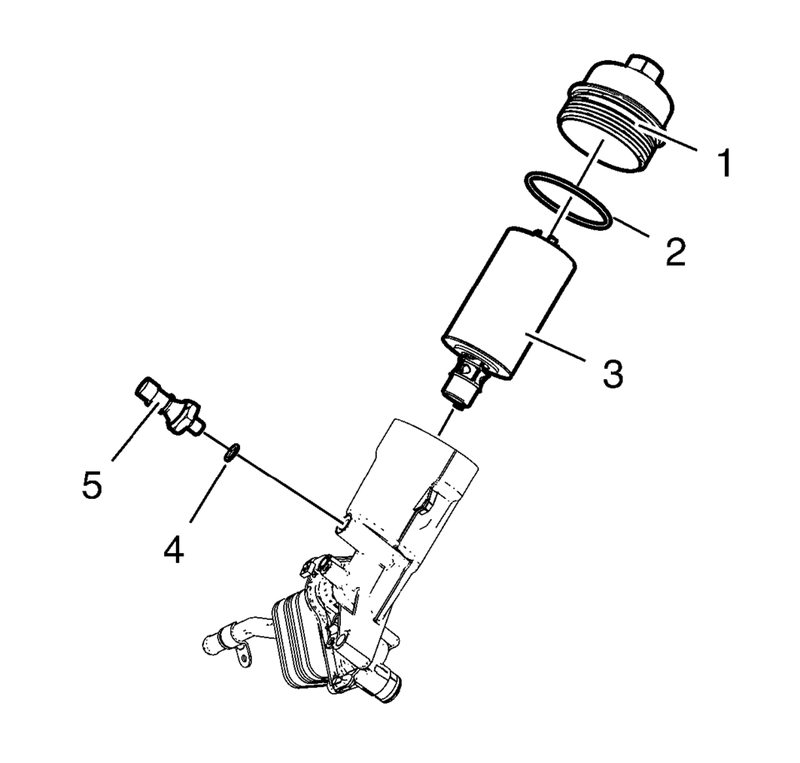 Remove the engine oil filter cap (1) along with the seal ring (2) and the oil filter element (3).